Queensland, Australia resident Bree Taylor was walking her dog Koda one morning when she came across a shocking sight. 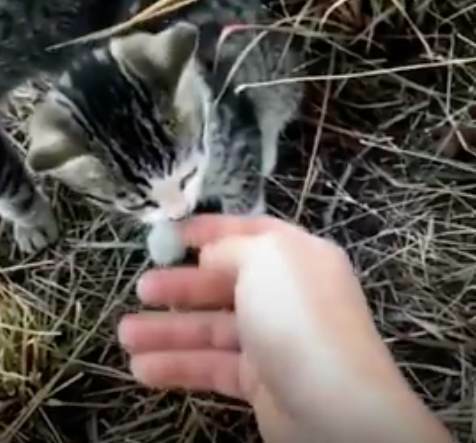 She found ten tiny kittens sitting in the bushes, all alone. At first, Taylor worried that the kitten’s mom was going to come out and attack Koda, but the mom was nowhere to be seen. The little kittens were all alone and badly needed help. Taylor sat on the ground, petting the kittens. They all purred and rubbed against her, friendly as could it be. It was also clear that they were very hungry. Taylor knew she had to help the kittens. But she naturally couldn’t carry all ten cats, and so she wasn’t sure how to get them home. In the end, Taylor decided just to start walking. To her surprise, all ten kittens followed her! “I couldn’t carry them all so I started walking home and they all followed me about a kilometer,” Taylor told The Courier-Mail. 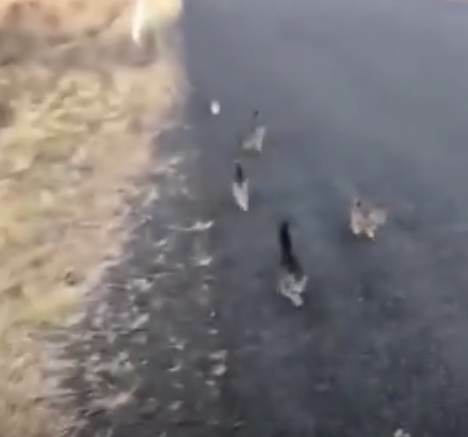 Taylor worried that the malnourished cats wouldn’t be able to walk the mile back to her house, but they kept pace with her. Along the way, the tiniest kitten started struggling. And so Taylor quickly picked him up and carried him for the rest of the walk. 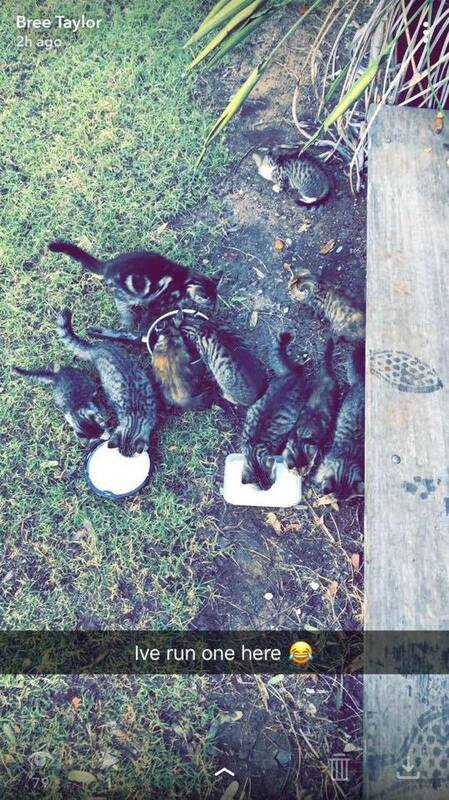 When Taylor, Koda, and the kittens arrived home, she quickly put out food for them in her backyard. She shared a cute photo on her Snapchat of her new little friends eating their lunch! 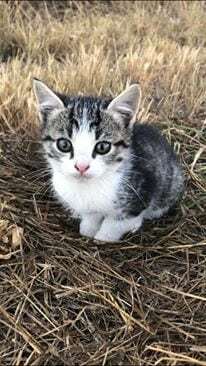 Once the kittens were fed, Taylor began the process of looking for homes for them. She shared photos and videos of the kittens on her Facebook page. 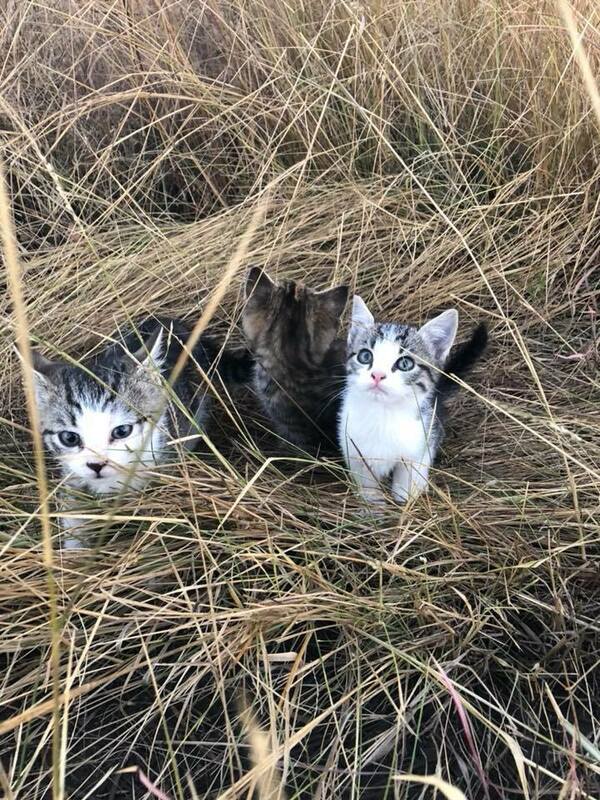 She also asked around to see if anyone she knew wanted to adopt the kittens. 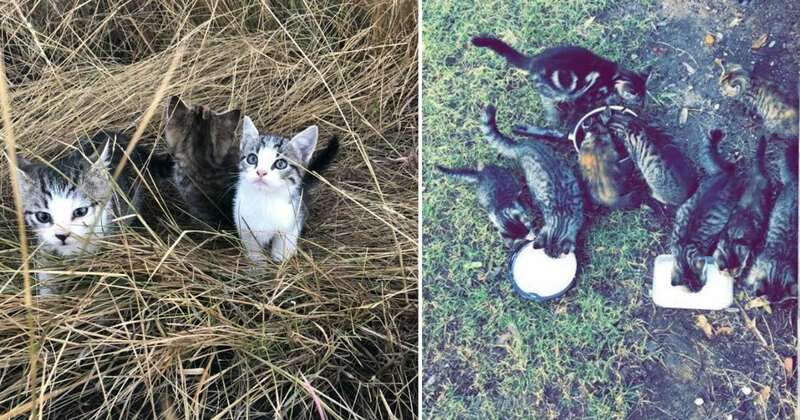 A number of Australian news agencies picked up the story, and with the publicity, Taylor quickly found homes for all ten kittens. Taylor is happy she was able to help the kittens, but she’s upset by the fact that somebody left a litter of innocent kittens on the side of the road. Thanks to Taylor’s kind actions, these ten sweet kittens have all found great homes. We’re so glad Taylor was able to help them!